Most co-living facility users are willing to pay a premium of up to 10% more to stay in a co-living facility as compared to a normal lease apartment, according to a report by JLL. 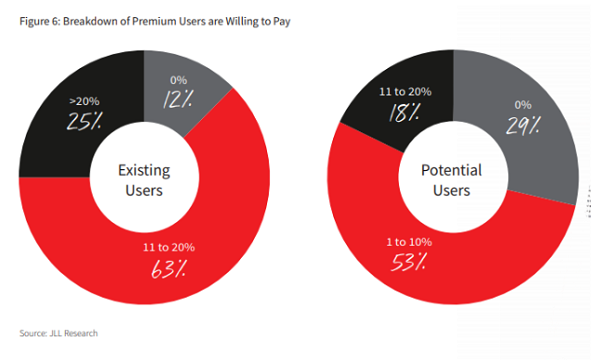 For existing users, 25% were even willing to pay over 20% more. The co-living market in Singapore saw unprecedented activity over the past 12 months with millions of dollars of funds being pumped into operators, enabling them to embark on an expansion spree, the report highlighted. “Even the government recognises its benefits and has awarded a site in one-north through JTC for a purpose-built co-living facility,” Tay Huey Ying, head of research and consultancy at JLL Singapore, and Michelle Tee, director of research and consultancy, noted. Demand is being driven primarily by Singapore’s foreign population, which stands at 1.6 million, excluding construction and foreign domestic workers, particularly from single-household expats engaged on a contract basis or working on project assignments in the city-state. The one-stop services offered by co-living operators provide expatriates with an alternative accommodation option that is said to be simpler than renting a conventional room and cheaper than renting a serviced apartment or hotel. According to a survey conducted by JLL in September 2018, all of the respondents who were current users of co-living spaces were foreigners aged between 21 to 39 years old, of which one quarter were Singapore Permanent Residents (PRs). “All of them agreed that a “convenient location” was a very important reason for them to choose to stay in a co-living facility,” the report’s authors highlighted, adding that other important reasons quoted by the respondents include wanting to get to know new friends and not wanting to waste the space living alone, especially when they frequently needed to travel overseas for work. However, responses were mixed as to whether the availability of common areas for community activities or the availability of community and social events were important to them for wanting to stay in a co-living facility. With regard to non-users of co-living spaces, JLL found that close to 10% were willing to consider moving to a co-living facility in the short-to-mid term. Of these, 64% were foreigners, whilst 36% were Singaporean citizens. Co-living players in Singapore were found to operate an asset-light leased model, wherein operators lease bare residential units or an entire block from a landlord, retrofit them to sub-lease individual rooms to co-living residents. 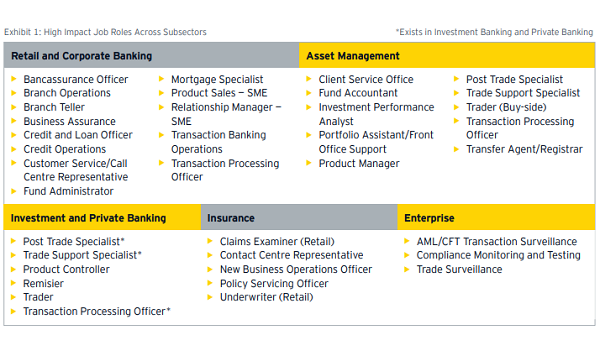 According to JLL, this model allows operators like Hmlet to scale up fast. In contrast, the business model of lyf is a mix of an owner-operated and management contract basis. Their first co-living facility in Singapore, lyf@SMU, is a Living Lab at the Singapore Management University (SMU) which serviced residence operator The Ascott has co-invested in and co-managed with SMU. “For lyf’s upcoming facility at Funan Singapore, The Ascott, through its serviced residence global fund with Qatar Investment Authority, has reportedly paid $90.5m to CapitaLand Mall Trust to acquire land for the serviced residence component, and will spend an estimated $80m to develop lyf’s flagship co-living facility in Singapore,” Tay and Tee revealed. The Ascott has also won a management contract from developer Low Keng Huat to manage lyf Farrer Park Singapore which is expected to be completed in 2021. Meanwhile, JTC Corporation’s move to put up a pilot Concept and Price Tender to build, own and operate a co-living development at Nepal Hill in one-north is expected to cause a domino effect with more players in Singapore moving into the owner-operator model. The facility will reportedly allow co-living residents to have their own bedrooms with an attached bathroom, whilst sharing communal spaces such as kitchens, lounges and living/entertainment areas with other residents. The plot of land is zoned as residential and will be approved for serviced apartment use to cater to residents who are envisaged to stay between two weeks and one year. Tender for the site closed on 30 July with four bidders vying for the site, which was eventually awarded to Ascott Residence Trust who offered the highest bid of $62.4m. The new facility, to be named lyf onenorth Singapore, is expected to complete in 2020 and will open for business in 2021. On the other hand, one of the key challenges faced by the co-living market is the deeply entrenched home-ownership culture amongst Singaporeans which, coupled with the ability to unlock savings in Central Provident Fund’s Ordinary Account through property acquisitions, has contributed to Singaporeans’ preference to buy rather than rent. Additionally, Singapore’s small city footprint, high cost of living and the culture of being provided for at home also mean that millennials are less inclined to move out, the report noted. An analysis of the survey results from existing non-users of co-living space revealed that most of them chose not to stay at co-living facilities because they have other considerations and not because they are unhappy with the offerings of co-living facilities. “About 30% of the non-users already own their premises whilst another 24% prefer to buy rather than lease. Amongst the 34% of the non-users who prefer a normal lease apartment, the desire for more private space was on most of their minds,” Tay and Tee explained. Whilst the supply of co-living spaces in Singapore, including those that are still under construction, stands at less than 1% of the Lion City’s total existing private housing stock as of Q4 2018, the concept of co-living is gaining traction with the bulk of its customer base coming from the young expatriates and rising local interest. “From our survey, a growing number of local millennials with the financial means and seeking more independence are being attracted to the concept of co-living. Another group of more matured working professionals who are married but without children are also warming up to co-living as a possible new lifestyle,” Tay and Tee added. The growing demand pool for co-living takes into consideration the many different co-living models the concept could potentially take, ranging from lower cost shared housing to convenient living product for professionals as well as those targeting the growing single person households across a broader age spectrum, not just for millennials. “Success in the co-living sector will be built upon co-living operators’ ability to change the way people live by plugging inefficiencies in traditional housing models with the enhancement in residents’ experience through seamless access to all their lifestyle needs and matching individuals on factors such as like-mindedness, location or budget,” Tay and Tee concluded.